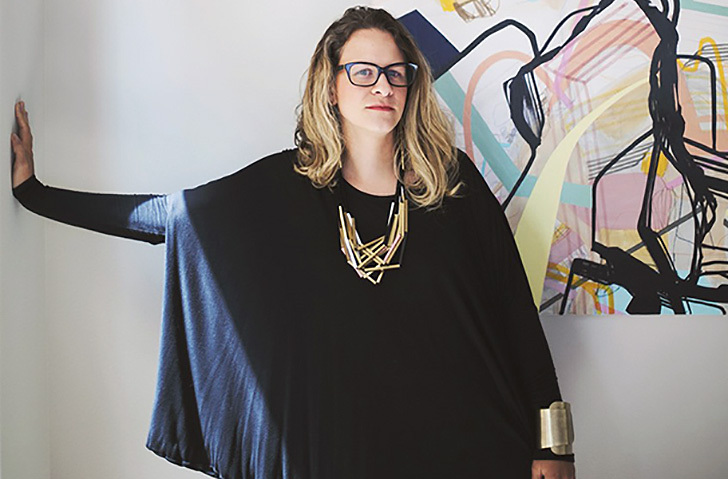 Jaime Derringer is the founder and executive editor of online design magazine Design Milk. When she’s not operating the “Milk” sites (Design Milk, Adorn Milk and Dog Milk), Jaime, a self-described “Jersey girl living the laid back life in SoCal,” is known for being an expert on design trends, speaking about design, blogging and social media. We had the opportunity to chat with Jaime when she visited our corporate headquarters in Minneapolis. Nature and music, and my emotional reaction to music. Fashion. What led you to create Design Milk? It’s funny how boredom can sometimes lead you down an unexpected path! In this case, I had some extra time on my hands and was looking for furniture for a townhouse I had recently purchased, which led to a lot of internet research, ultimately resulting in the creation of a place called Design Milk, where I could write about and share all the goodies I was discovering online. A disaster! Have you ever heard about the cobbler with holes in his shoes? I’m the design blogger who desperately needs design. Working on my own terms! I just ordered a few artist biographies from Amazon along with a copy of Tina Fey’s Bossypants. I feel like I’m the last person to read it. As a self-taught abstract painter, what artist or movements of the past inspire you most? The New York City scene in the 30s and 40s is probably my favorite time. I just ordered a Jackson Pollock bio and I can’t wait to read it. I’m fascinated by the artists who were working at that time – a time when there was such a dramatic and exciting shift in art. I wanted to be a paleontologist or archaeologist, as well as a writer, singer and dancer. My daughter, coffee, and my iPhone. You’re always on the move! What’s your favorite destination? I like the desert and the Pacific Northwest right now – I want to be close to home, yet feel like I’m in the middle of nowhere. See how Jaime enjoyed visiting here.